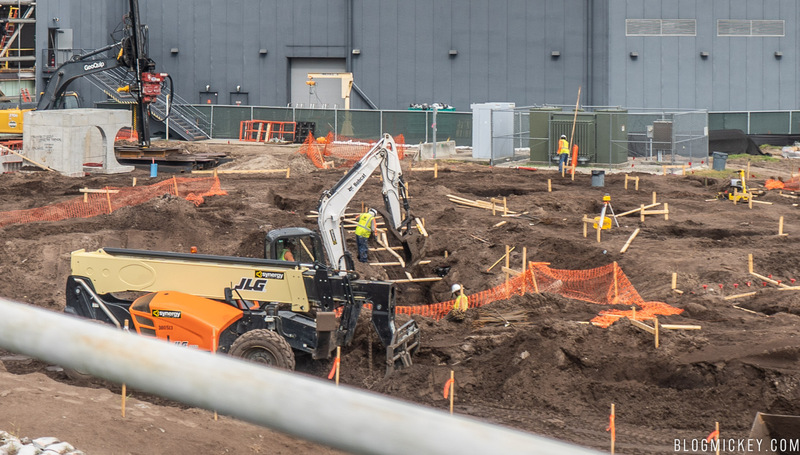 We visited Epcot this morning to check out a few of the ongoing construction projects around the park. 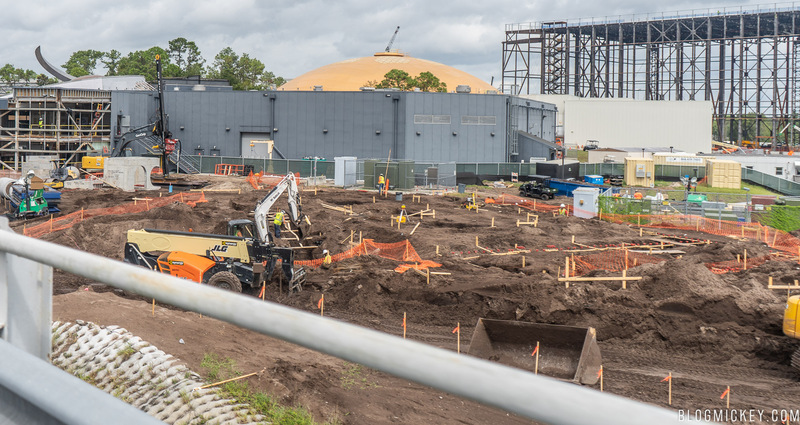 One such project is the space-themed restaurant being constructed on a plot of land south of, and adjacent to, Mission: SPACE. The work appears to be twofold here, with both a partial demolition of an existing building and plumbing work for the new space. To get our bearings a bit, here’s an older aerial view of the plot. 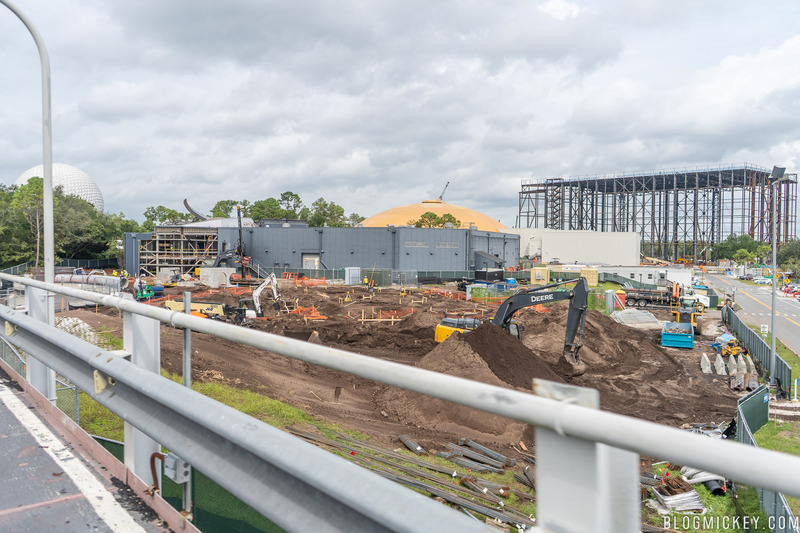 In the aerial photo below, we can see the outdoor portion of Test Track on the left side of the image and Mission: SPACE in the middle. 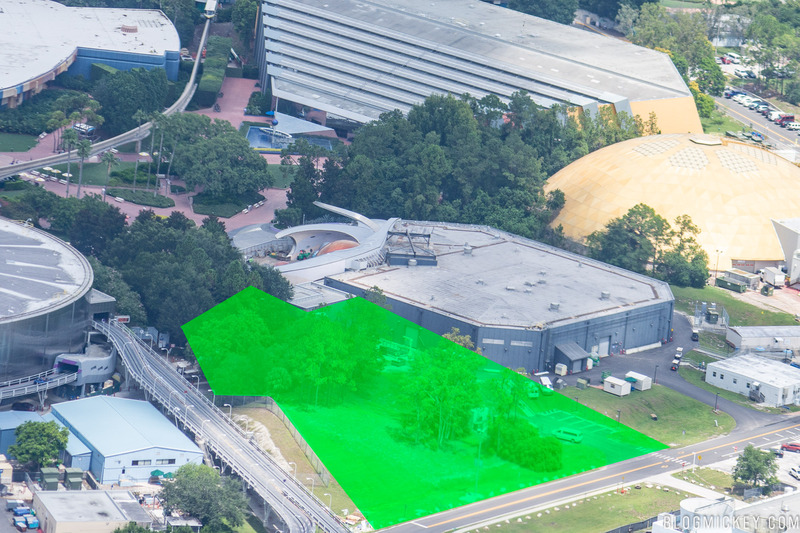 The plot of land we’ll examine below is highlighted in green. 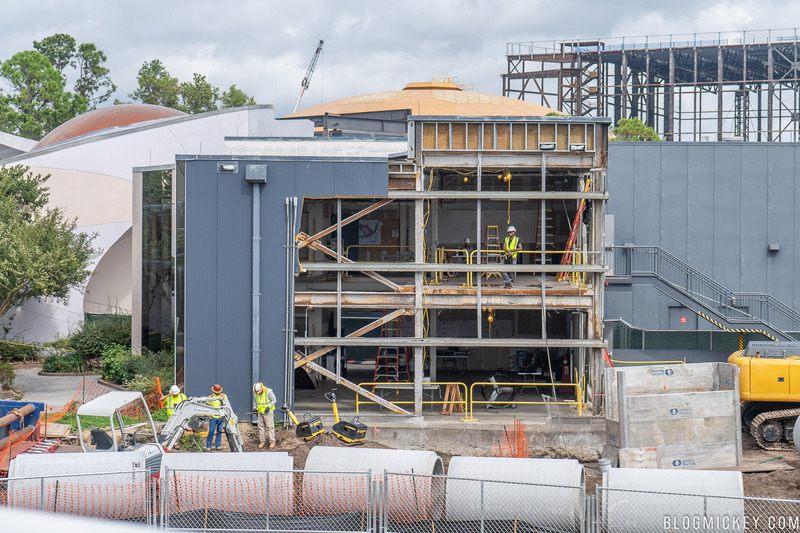 We’ll start with a wide look at the new construction. It appears that prep work is being done for plumbing. Here’s a more focused look at the work. We can see trenches are being dug out to support the reinforced concrete pipe to be installed next. Here we can see the reinforced concrete pipe staged near the existing building. 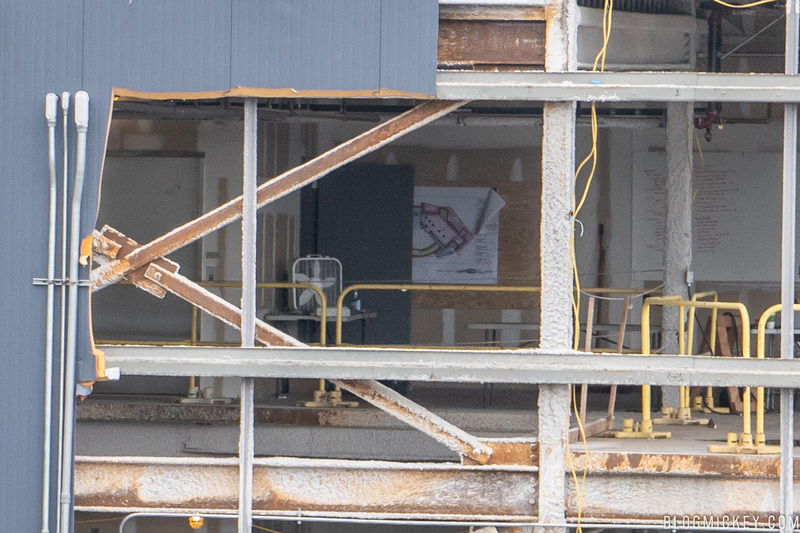 The second half of the project consists of opening up the existing structure to connect to the yet-to-be-built circular dining room. This structure was the unused HP lounge. 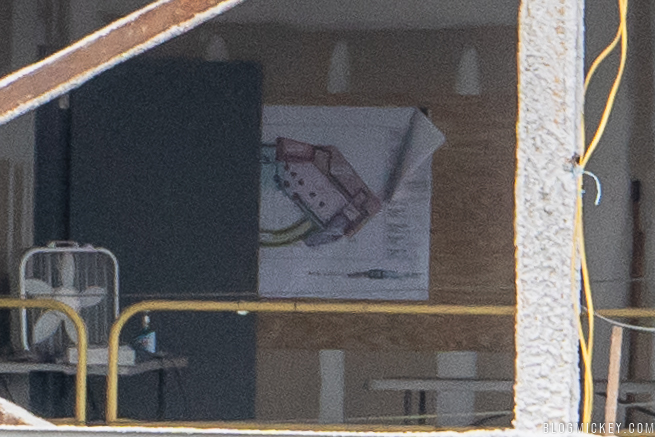 A closer crop of the photo above reveals what appear to be the site plans for the finished structure. Seen below, the plans show a circular structure connected to a rectangular building. Unfortunately, a door is open and partially blocks a full look at circular structure, but you get the point. To recap, here’s a look at the concept art, showing the circular dining room. 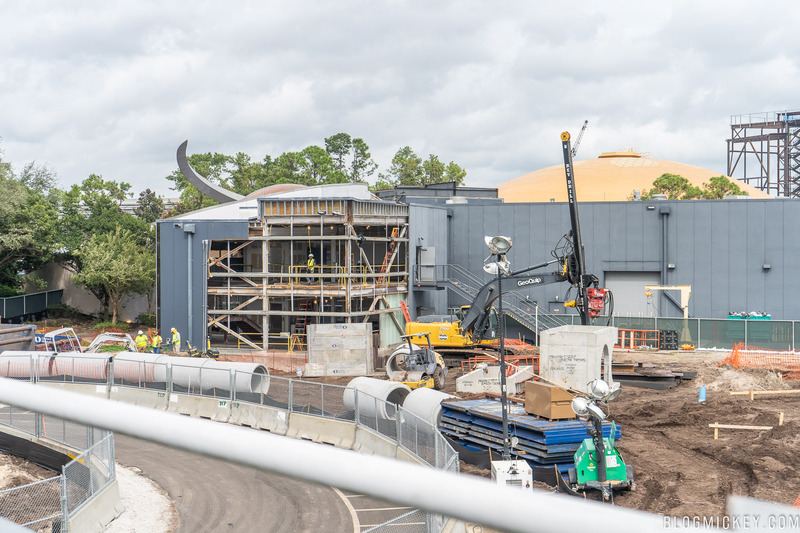 Finally, here’s a look at what can be seen from inside the park. 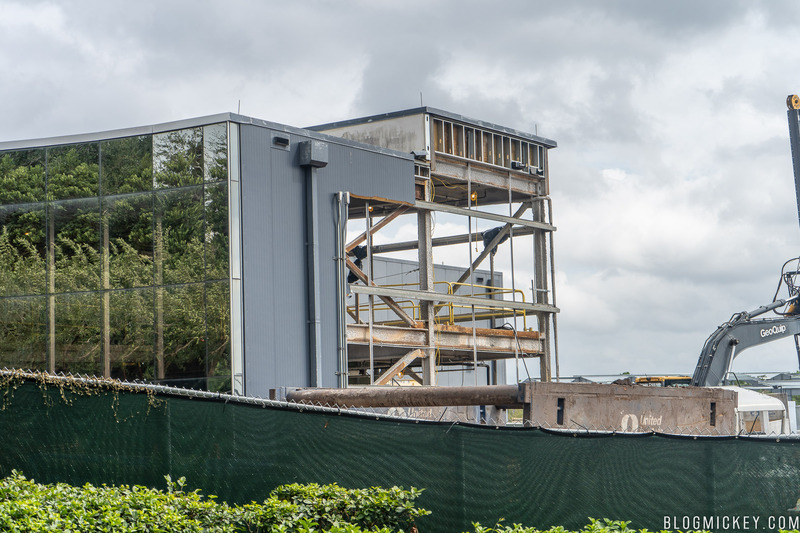 As always, stick with us for the best looks at this and many more projects around Walt Disney World.